Pingback: Inuit Genealogy | Hey Analyst! This catches my attention visually – I’ll share it with Inuit students of jewellery design – and for the hopefulness of returning information gathered ABOUT a people TO those people in ways that put its continued use into their own hands. Inuit communities have been greatly studied by non-Inuit, and there is now a tense relationship between researchers and the researched. I hear calls from Inuit for more investigation into various subjects, alongside remarks about Southern investigators who come north to build their careers, and do not leave meaningful, accessible, relevant ideas and data behind. 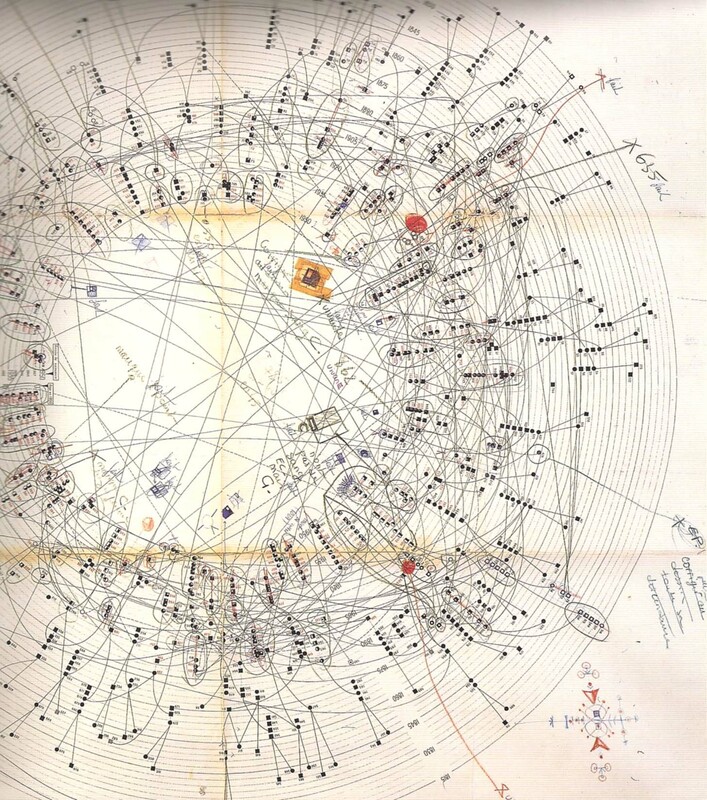 Not sure I would say they’re the first examples of radial genealogy diagrams, I’m sure there are precedents. They are the first genealogies drawn up of this particular tribal grouping of the Northern Greenland Inuit. So; more the content than the form that is new. An interesting point you make about technologically mediated visualisation tools. I suppose you could argue that there is a direct engagement with the material and something very direct about not only putting pen to paper but designing the information structure from scratch. I suspect that if you tried to do this in the field today using a computer you would have some difficulties in the extreme conditions of the arctic environment. This is fascinating work. Would there be any geneologies of Inuit from the Baffin area, in particular, Pond Inlet and Igloolik? Reblogged this on Paul Greer.